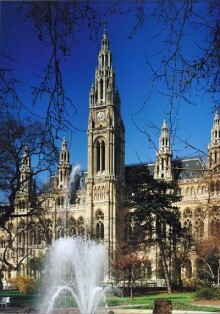 The next edition of CHNT (Cultural Heritage and New Technologies – www.chnt.at) will be organized in cooperation with the EG GCH (Eurographics Symposium and Graphics Cultural Heritage) and other partners (will be announced soon) in the City Hall of Vienna Austria. 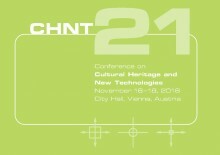 viThe aim of this federated event is again to bring different communities in the same venue, to share experiences and discuss methodologies concerning digital visual media and their use in the context of heritage applications, to document digitally on at-risk archaeological sites, historical buildings, museums… and their texts, books, paints, pictures, objects …all records of through collecting original image collection’s source. Title of the session, ….